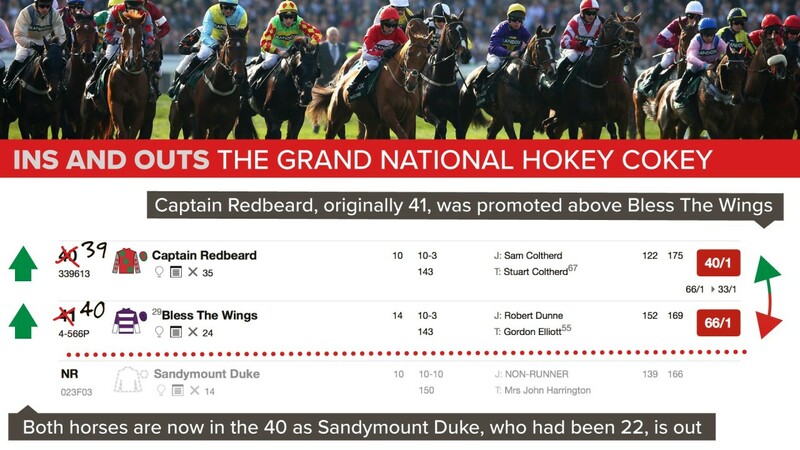 It was a case of the hokey cokey for connections of Captain Redbeard, who was originally first reserve for Saturday's Randox Health Grand National but is now in the Aintree showstopper and has trainer Stuart Coltherd dreaming of a fairytale success. Following Monday's forfeit stage, Bless The Wings was initially number 40 on the list and therefore the last horse guaranteed a run in the £1 million race, but was later switched with Captain Redbeard as BHA handicapper Martin Greenwood's decision to revise his rating of Bless The Wings had not reached Weatherbys when it distributed the entries. "We thought we were 41st and first reserve, so faced an anxious wait," said Coltherd, who trains a string of 23 in the Scottish Borders. "Then, all of a sudden, it was released later that we were 40th and not 41st. It saved a lot of hanging on and at least we knew where we were. No-one phoned or anything and I'm sure I read there was a mistake or something, but what happened, I haven't the faintest idea." 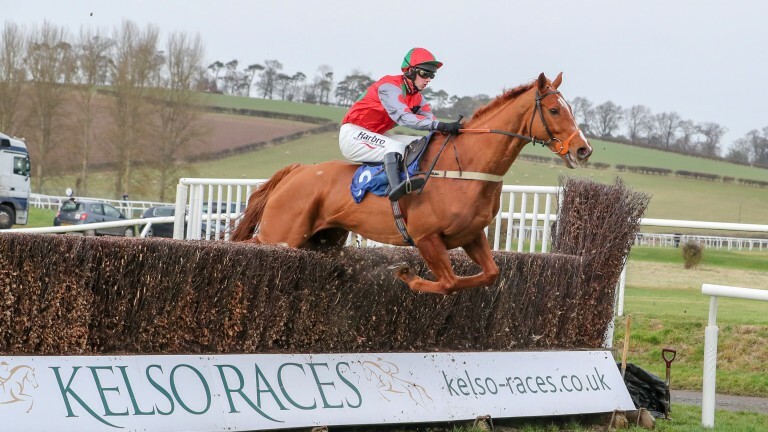 Coltherd, a former farmer who started training with a permit in 1999 and took out a full licence in 2004, has previous when it comes to the sport's most famous fences so is far from daunted by facing some of jumping's superpowers with his challenger, whose odds range from 25-1 to 66-1. "We went there with an outsider before and Tartan Snow won the Foxhunters' at 100-1 in 2013," he added. "I'm a great believer in that if the horse is good enough and you're confident in his abilities, you have a go. "We had a couple of winners last month and three in February so the yard's going well enough. "I'm not one for just going for a day out and think he's got a realistic chance." Coltherd's son Sam will ride Captain Redbeard, who unseated early in last year's National. The trainer, however, is taking heart from the ten-year-old's form with Vintage Clouds, who many fancy to run a big race on Saturday. "Our horse is well and I'm chuffed to bits with him – everything has gone according to plan," continued Coltherd. "He was unlucky in the race last year. He's never fallen and that was the only time in his life he's unseated. "We've just schooled him at home and I'm quite confident he's fit enough and, touch wood, his jumping's good enough to get him round. "He's in good order and if you think back to Haydock in November he should have beaten Vintage Clouds, but two horses fell in front of him on two separate occasions. Other than that we'd have probably finished in front of Vintage Clouds, so his form's good enough. "He's won the Tommy Whittle on heavy and was second in the Peter Marsh on it, while he beat Definitly Red on good ground, and will go on most." Connections of Bless The Wings received their own boost on Tuesday, when Sandymount Duke was withdrawn due to a leg injury, meaning he too is guaranteed a run after all.